We are one of the leading Service Provider, Distributor, Exporter, Trader & Importer of Lab Twin Screw Extruder. Being a dependable enterprise, we are presenting a comprehensive assortment of Lab Twin Screw Extruder which is easy to operate and adjust. The offered screw extruder is developed by utilizing the optimum quality components and leading techniques keeping in mind the set standard of market. Also, our offered screw extruder undergoes various tests under the supervision of vendor’s quality controllers, so as to make certain its flawlessness. Besides, this screw extruder is available as per client's specifications. 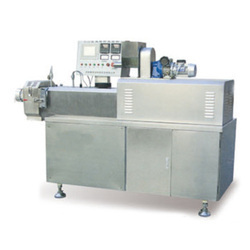 Looking for Lab Twin Screw Extruder ?